I have long decried the constant overuse of classic properties, and in a world of constant HD remasters, I seem to spend increasingly more time complaining. Pac-Man, I think, has always been particularly victimized by this process. He is one of the most recognizable names in video games, one of the most transcendent aspects of video game culture, and perhaps most importantly in this case, his games are incredibly simple to make. 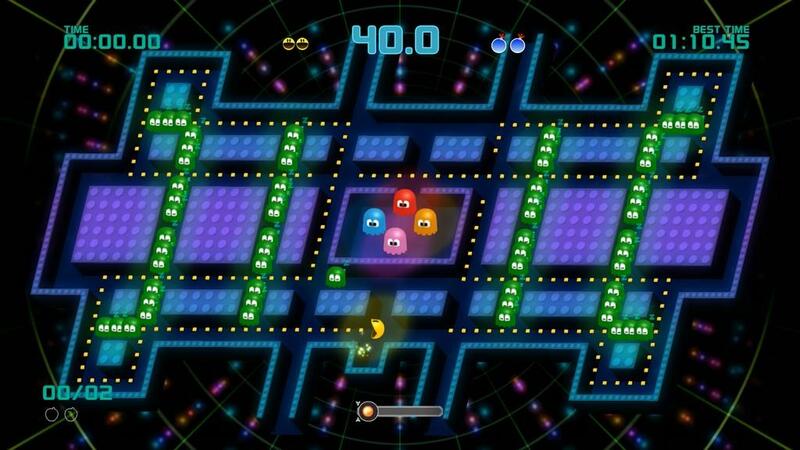 However, among a bevy of bastardized half-attempts at Pac-Man sequels, 2007's Pac-Man Championship Edition has held the honorable distinction of being maybe the only good since, like, 1985. 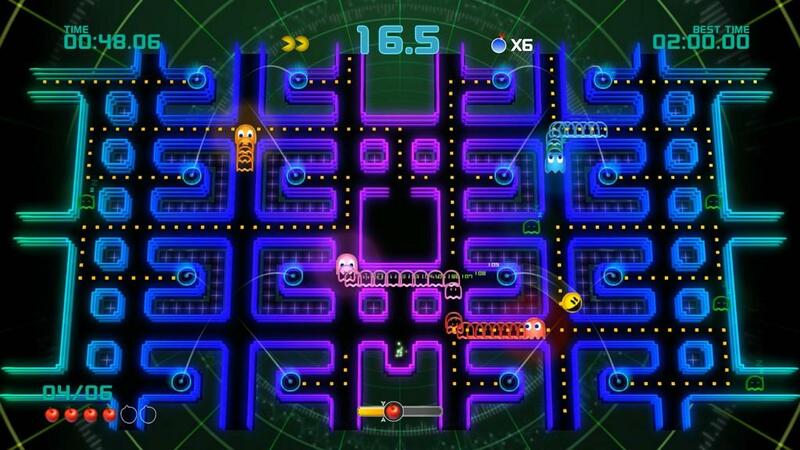 Mercifully, Pac-Man Championship Edition 2 follows suit, and is an excellently modern retelling of the apparently immortal Pac-Man. The best thing about Championship Edition 2 is the pacing. The game is blisteringly fast. 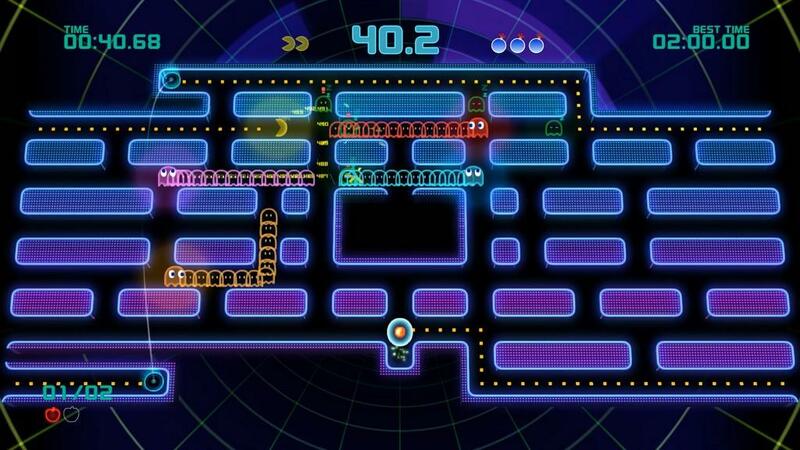 Rather than maintain the slow, precise pace of the classic, Championship Edition 2 ops instead to basically inject nitrous directly into Pac-Man's dots. Each level is actually a series of short mazes, and rather than require you to eat every dot on the screen, you only have to eat most of them. There's a bar at the bottom of the screen that fills up as you score points, and when it's filled, the fruit is deployed onto the map. Eat the fruit, and you're done with the maze. 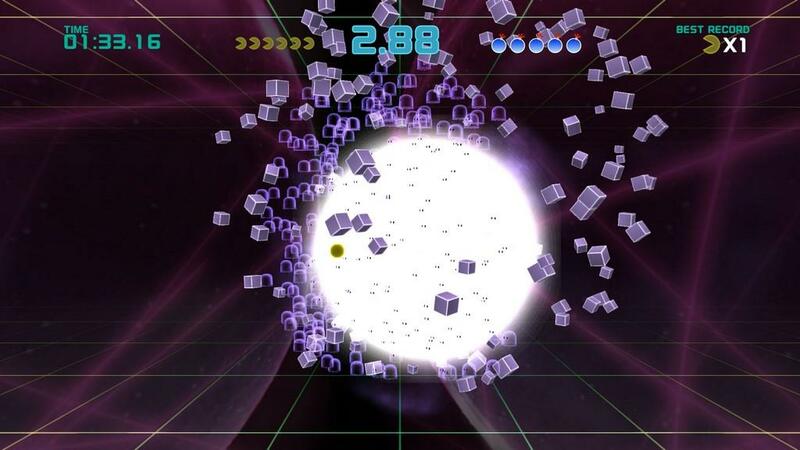 The next maze quickly appears, and you must do the same thing again, within the time limit. 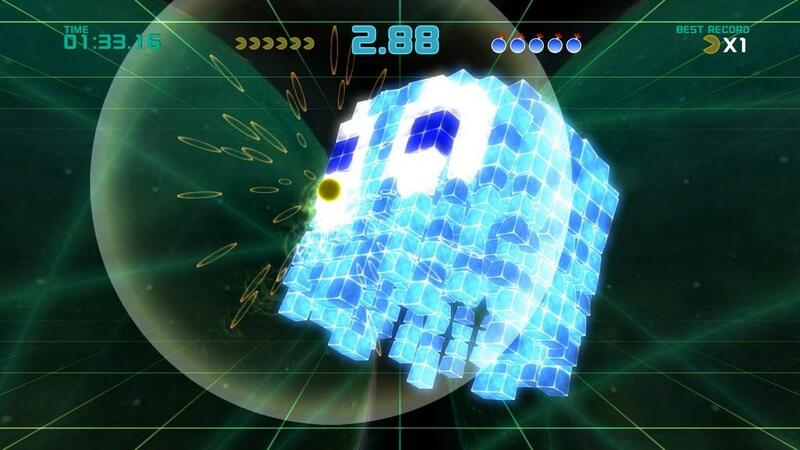 Reach the final maze of the level, and the fruit is replaced by a power pellet, which will let you eat the ghosts and finish the stage. You're also free to touch the ghosts practically as much as you want. If you touch them two or three times quickly, they will get angry and begin to chase you. Only when they are angry can they harm you. This sounds like it would make things too easy, but it absolutely doesn't. 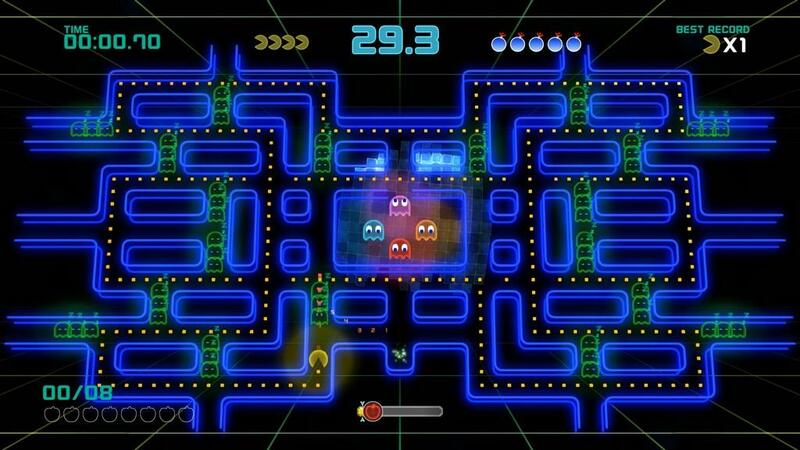 Pac-Man moves at such a blinding speed in this iteration that it's nearly impossible to go a whole maze without irritating at least one ghost, especially since now, they form trains of sleeping ghost minions. 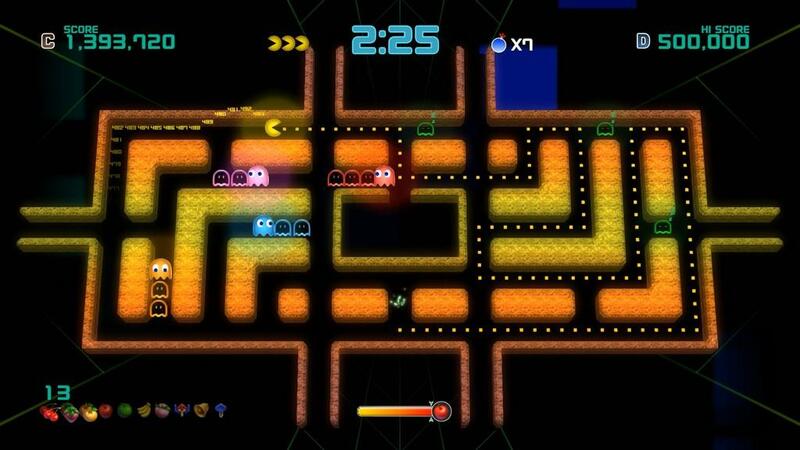 The sleeping ghost minions lie dormant on the map until Pac-Man passes closely by them. Upon awakening, they scurry away to one of the ghosts, and essentially form a giant Conga line. Each minion adds points to the leader, so it is important to wake as many of them up as you can if you want to score highly. It poses a continually interesting dilemma; the more minions, the harder the game gets, and if you find yourself being overwhelmed, you may have to make the decision to get less points in order to finish the level. When you get the power pellet, eating the ghost train leader will cause you to eat the entire train, going into a brief cut scene to cinematically show your combo rise. Each maze has a very strict timer, and you will often find yourself coming down to the last fraction of a second to complete the maze. In order to help combat this, Championship Edition 2 has added bomb jumps. 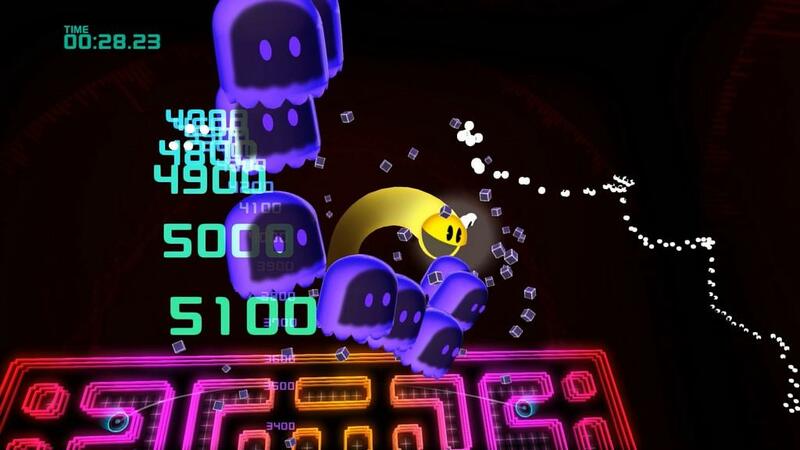 These explode under Pac-Man and send him hurtling back to the starting position, usually directly above the fruit, so that you can quickly move on to the next level before you run out of time. Giving you an escape plan allows you to be a little more risky with your combo building decisions, which in turn makes you always feel like Indiana Jones sliding under the door, with just enough time to grab his hat. I really can't stress enough just how great the pace of this game is; always urgent, always demanding, and always exciting. The final act of each level is usually eating the ghost trains, which are trying to escape from you as fast and wildly as possible. This is always the most difficult part, as you have to analyze the paths each train is following so that you can intercept them and eat them from the leader down. Championship Edition 2 adds a braking feature for Pac-Man, so you can slow down and time your movements for these final moments. Chasing down the trains can be a little frustrating sometimes, because everything is moving so erratically that, even though there are visible trails to follow, it still feels a bit too luck-based, and losing to what feels like chance in the last 20 seconds of a level can put a bit of a damper on that great momentum I keep talking about. It's a minor complaint, however, and normally functions just fine. 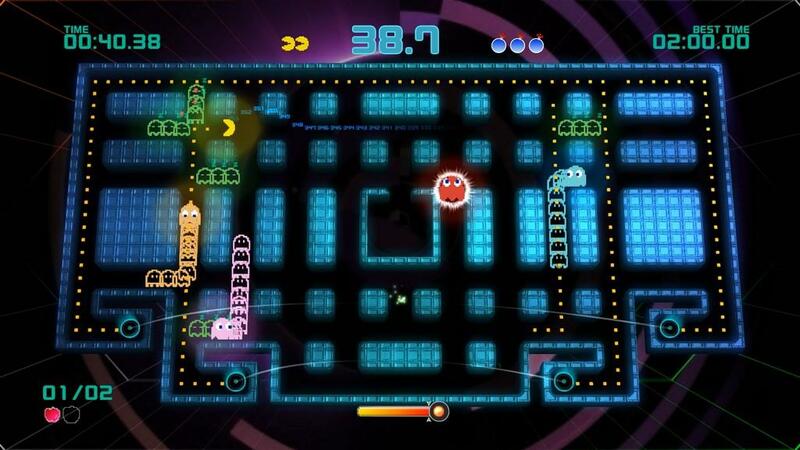 There are several different game modes to choose from, and each mode has different difficulty levels. The differences in modes is pretty slight, to say the least, but they are usually just individual enough to have their own identity. Don't go in expecting much in the way of variation; they're all still the same Pac-Man style gameplay, just with mildly different objectives. The replayability of the game undeniably comes from the high-score pursuit, rather than the plethora of modes, but it's a nice feature nonetheless. It's worth mentioning how great the game's presentation is, as well. Everything is incredibly neon and colorful and the soundtrack is great. It has a very retro, 1980s look that hearkens back to the titular characters roots, but the flash of neon makes everything fun and futuristic as well. Think Far Cry 3: Blood Dragon, and you won't be far off. 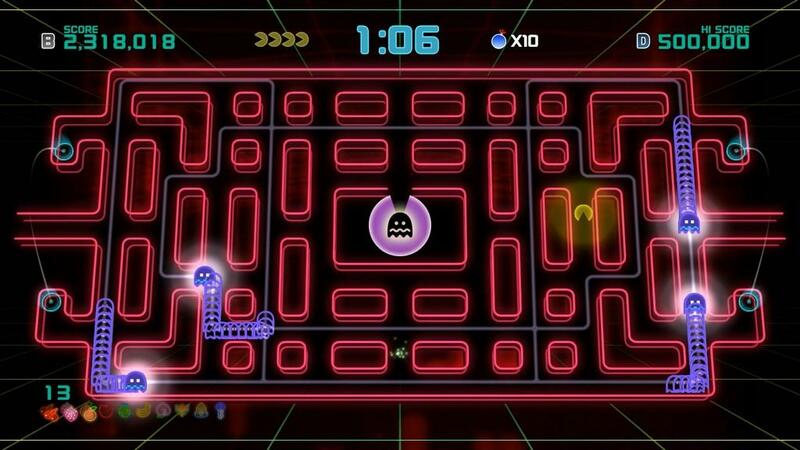 I was very pleasantly surprised by Pac-Man Championship Edition 2. 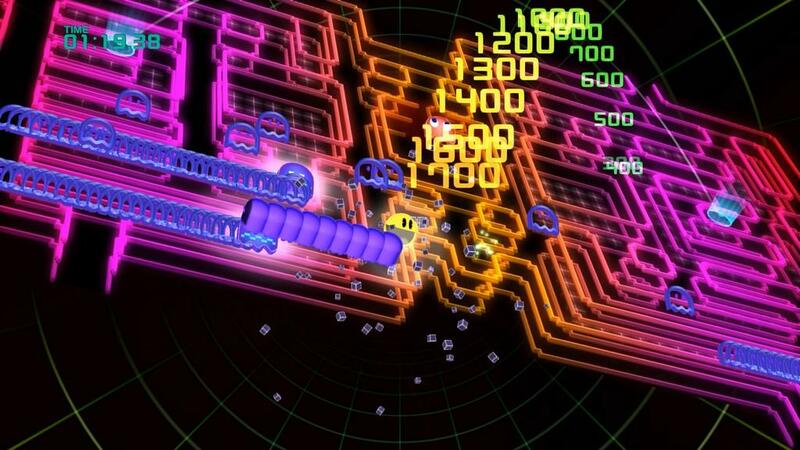 It's one of the best arcade-style revivals in a long time, perhaps since the first version. It's different enough from its forefathers to offer something new, while similar enough to be familiar and faithful. There's plenty to do with the variety of modes and good ol' leaderboards, and it's presented in such a fun way that it's a pleasure to stick around. A perfect balance of old and new with a wonderful presentation. 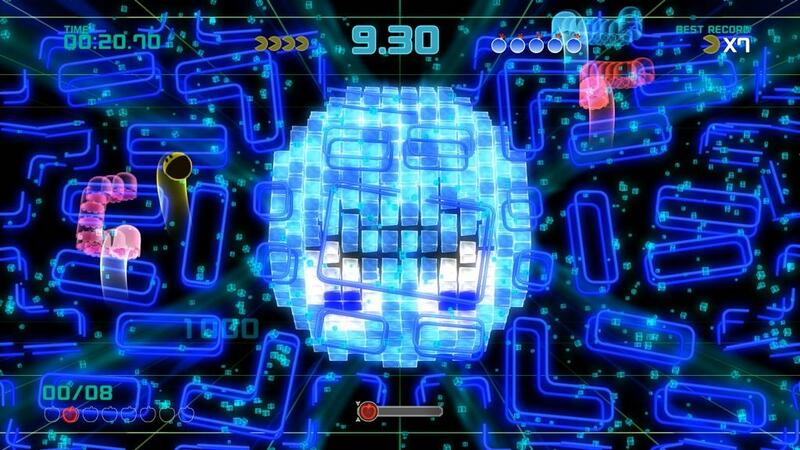 Pac-Man Championship Edition 2 is simultaneously inventive and nostalgic, and worth playing for anyone who likes arcade style games.